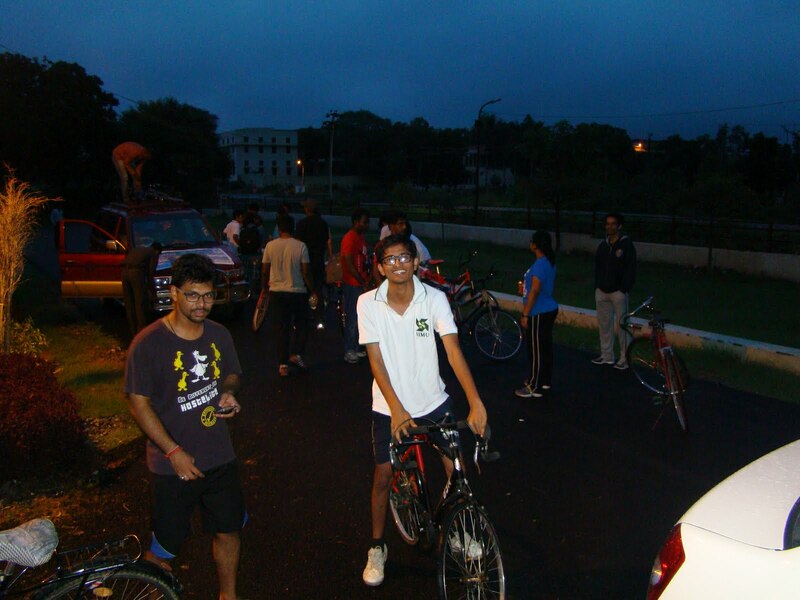 In the wee hours of the morning, a group of 23 IIM Udaipur students went ahead to ride their bicyles around the slyvan surroundings of the lake city. 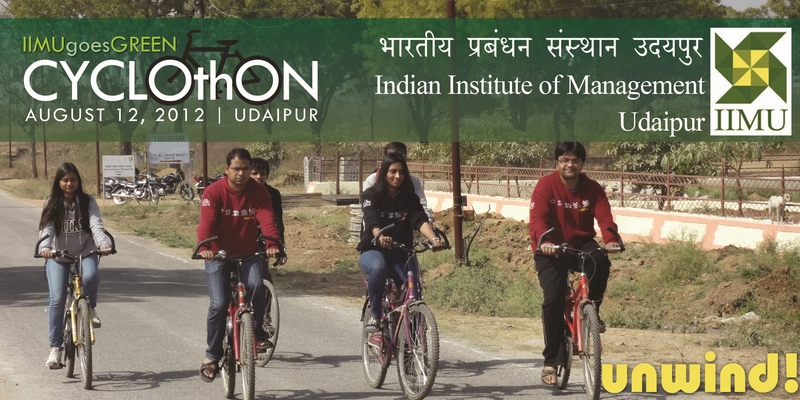 The event Cyclothon had the motto to increase awareness among the denizens of Udaipur about the increasing levels of pollution as well as the benefits of cycling. 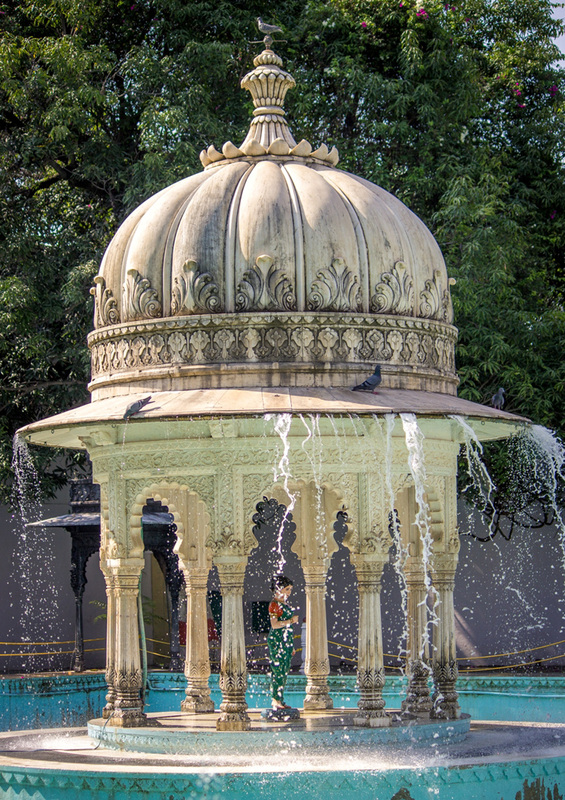 The students started off from the campus and went upto the Fateh Sagar lake. 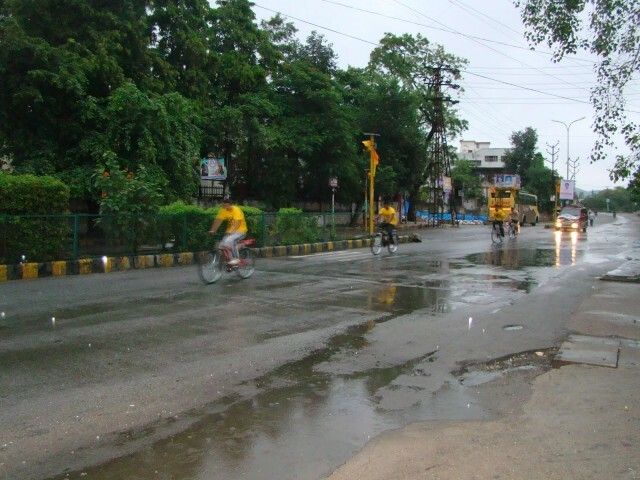 The 20 km route then went around the scenic Rani road and through Fatehpura to finally end at the campus. The enthusiasm of the students was exceptional as some of them completed it without taking a halt, that too within 50 mins. IIM Udaipur has since its inception believed in caring for nature. Keeping this in mind the institute has ensured that the campus is entirely pollution free. Students are encouraged to use bicycles and keeping motorized vehicles is prohibited. In fact even the director of the institute Prof. Janat Shah leads by example, and prefers to cycle his way to the office almost everyday. The new 250-acre campus of the premier management institute that is coming up in Balicha region in the midst of the hills of Udaipur is going to be water neutral and eco-friendly.